Two heavyweights of the pickup truck market—in battle for supremacy for years—the Ram 1500 and the Ford F-150. Through performance, design, and technology features, we’ve broken down which vehicle comes out on top as the pre-eminent pickup choice. Read on from us at Go Auto Mississauga Chrysler Dodge Jeep Ram and discover why the Ram 1500 is the ultimate hardworking pickup option. Both the Ram 1500 and Ford F-150 have several different engine choices available, depending on their trim and your needs. The top gas engine on the F-150 is a 5.0L TI-VCT V8, producing 395 horsepower and 400 lb-ft of torque. Heading up the ceiling of the Ram 1500 engine choices is the 5.7L HEMI® VVT V8, which powers 395 horsepower and a little bit more torque than the F-150 at 410 lb-ft. What separates the Ram 1500’s engine performance is the addition of eTorque on its engine. Powering an additional 130 lb-ft of launch torque, you’ll enjoy faster and more efficient power out of the 1500. If it’s power you want, and we know you do if you’re deciding between these powerful trucks, then it’s the Ram 1500 all the way. The Ram 1500 isn’t just fit to fulfill all of your performance needs to the highest level, which it can do with ease, but it also looks good doing it too. While the Ford F-150 takes on a more sporty look inside and out, it can’t compete with the level of luxury presented in the Ram 1500. Beautiful red wood and leather accents fill the interior of the 1500, presenting gorgeous insides that will make it hard for you to stop running your fingers over. This luxurious finish has the Ram 1500 at the top of luxury trucks in its segment. For a truck that is capable, and a sight to behold at the same time, the Ram 1500 is a sure bet. Living and driving in 2019 means any vehicle you come across will have a host of technologically advanced features, but which one gives you the most? 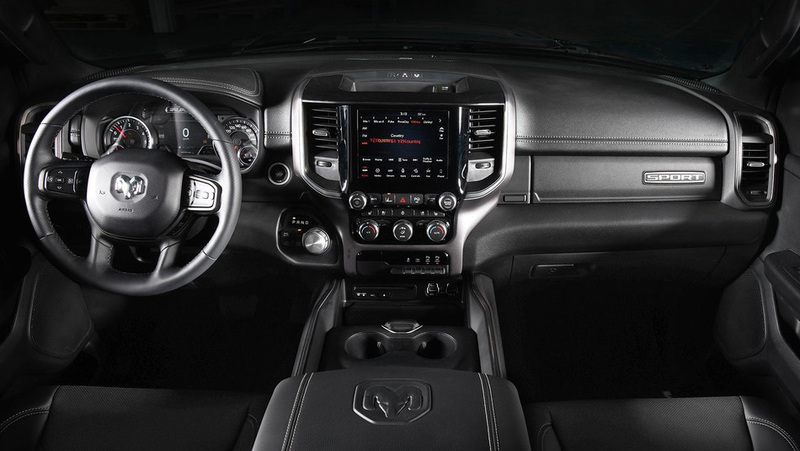 For the best view of your connectivity conveniences, the Ram 1500 has the largest-in-class touchscreen available—a generous 12-inch screen on its Uconnect® system. 5 USB ports and a wireless charging pad are also available for easy connection of your devices, along with Apple CarPlay and Android Auto connectivity. Ford offers some similar features with their Ford SYNC® system, but on a smaller touchscreen that isn’t as user-friendliness as the Uconnect® system. 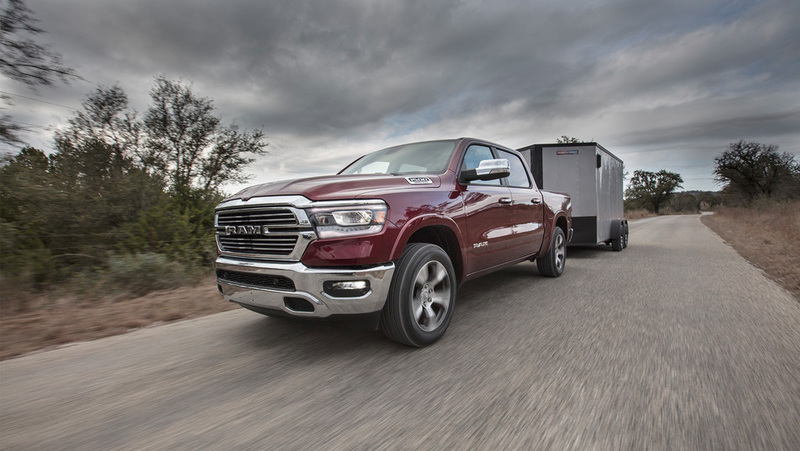 Take full advantage of the comprehensive connective technologies on the Ram 1500. Shop our entire inventory of Ram vehicles, as well as Chrysler, Dodge and Jeep models. Get in touch with our dealership for everything from sales to service to parts.